Grease the inside of Crockpot. Throw all ingredients inside Crockpot and mix well. Cover and cook on low for 8 to 9 hours (*please see notes below). Stir before serving. What could be better than waking up to the fresh aroma of a hearty morning meal wafting through the house? With aid of a Crockpot, it's easy to give the entire family a hot breakfast, regardless of when they drag themselves out of bed. Mr Breakfast would like to thank Oatmeal Man for this recipe. 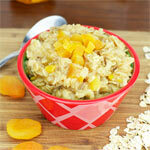 What do you think of Deluxe Crockpot Oatmeal? View all 59 comments for this recipe. Overall, it was not a bad recipe. I read the comments so I did watch it closely and cooked it during the day for a trial run. It was done, to me, in 2 hours. I did leave the apples in little chunks so they were still a hair crisp, though not enough to ruin it. It might had been better if I had left it a little longer and with extra milk. To me, it wouldn't be an overnight recipe. I have an older crockpot and this turned out perfectly after about 8 hours on 'low.' I switched out the milk for unsweetened almond milk and added some vanilla extract. Would definitely make again - works great for quick oats. 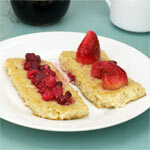 I make this with Old Fashioned rolled oats instead of steel cut or quick cooking. Also add some vanilla, and don't cook for nearly as long. I've found that cooking on low for 4 hours or warm for 6 seems to do the trick. I agree with those saying to use a crock pot cooking bag, this was a mess to clean up the first time! I am trying this for the first time in my mini (crock pot) warmer that came with my crock pot. It's a long shot. We'll see if it is a yeah or nay tomorrow morning. I left it on low for 8-9 hours as suggested and it came out overdone. Either increase the milk or don't sleep as long. ;) It still tasted good, but it wasn't very nice looking. Glad to have the comments to read first. Saves so much time. I make mine in a 2.5 quart. Very tasty and hubby is happy to have breakfast all ready when he wakes up first. I tried it just because it sounded cool. 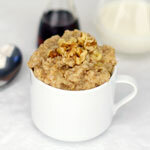 Use Old Fashioned Oats thinking it would be better because of the cook time? Not impressed? Thought it would be fun for a busy wedding weekend with out of town guests. Oatmeal is so easy to cook. Next time I'll just make it in a big pot in the morning when I wake up. This is the best oatmeal I've ever tasted. I can even get my 2 year old son to eat it! I double the mixture but instead of using walnuts or almonds I put in half a cup (even though I doubled the other ingredients) of ground flaxseed, and added a bit more milk. I cooked it on warm for 8 hours and came out perfect!! I like this recipe a lot! I have a large oval crock-pot so I put all my ingredients into a smaller well greased Pyrex bowl which I put into the crock-pot. Next, I filled the crock-pot with enough water to come up to the level of the oatmeal mixture in the Pyrex dish. I set it on low and cooked for 4 to 5 hours. Clean up is a breeze! Try it, it works and the oatmeal's texture is like a souffle. Almost perfect. The bottom was a little bit crusty after 8 hours, but that was no big deal. Other than that, it tasted great and had a nice texture. Maybe just 7 hours of cooking next time. I have used a variation of this for years. I double the ingredients and I cook mine on the warm setting. I leave it on for about 10 to 12 hours. It comes out perfectly. 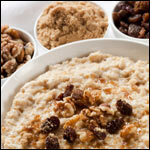 You can use Quick Oatmeal, just make sure you leave the Crockpot on Warm over night. I double the recipe and added another 1/2 cup of milk because it didn't look like enough liquid. And don't forget to spray the sides of the Crockpot with Pam before you put in the ingredients. With all the notes I provided it turned out great and not to much liquid was leftover. Otherwise it was wonderful to wake up to this on a rainy morning in Portland, OR. Cooking time too long. I have a very good crockpot and the oatmeal was burnt on the side of the crockpot by morning. This recipe was great! I read the comments and only cooked it for 4 1/2 hours. I have had my crockpot for at least 5 years, so I don't know if that is considered new or old. LOL. I used water instead of milk but, I will add at least 1 cup less of water next time, because I like my oatmeal thicker. I found this same recipe in a crock pot cookbook. I made the recipe during the day and noticed that it looked done but I was planning on sticking to the recipes 8 hour time frame. At 6 1/2 hours it started smelling like it was burning so I turned it off. It was good but I'm sure it would have been better if I turned if off earlier. I didn't double the recipe and it was just enough for my husband and I. I wish I would have found these reviews first. Turned out delicious! I read the comments first. I know my crockpot cooks hotter than others, and I didn't want to get up in the middle of the night to turn it on. So I left mine on warm for 7 hours, then turned to to low for 30 min. before eating. It was perfect. Not burnt or mushy! This is a fantastic way to help me eat sensibly by baking up a batch of this and dividing the results into portion size cups for the week. On the way to work, I just grab one out of the fridge, top with some sliced strawberries and eat it about mid-morning at room temp. My 4-1/2 quart oval crockpot cooked completely on low in about 4 hours. I also prefer to add the nuts and/or raisins at the time I eat it. 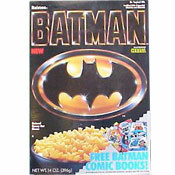 Tried it with steel cut oats once but it needed additional milk. Clean up has not been a problem at all, but then I cook it during the day and not overnight. Next time I'll make it with water instead of milk. The milk scorched. I have a new oval crockpot and my oatmeal was done in 3 hours, I should have read the comments before I made it and put it on at midnight, next time read comments beforehand. I doubled up the ingredients and put almonds and walnuts, dried blueberrys, dried mixed berries, and bananna, no apple.